Belated acknowledgement of the death of a fine singer. 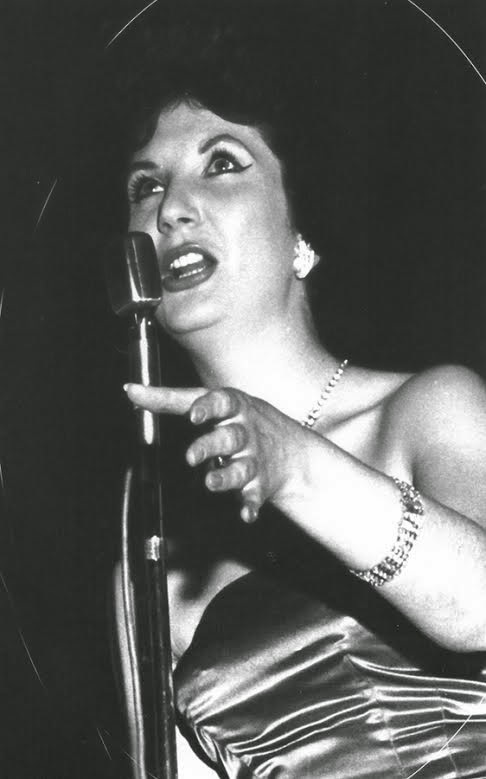 Just to let you know that Marion Williams, former singer with the Dankworth 7 and Oscar Rabin Band (among many others in the 50's) died in February, 2014. She was 82 and a damned fine singer. Attached is a promo photo of her back in the 50s/60s. Music is an audio experience but it can also be related to the other senses. 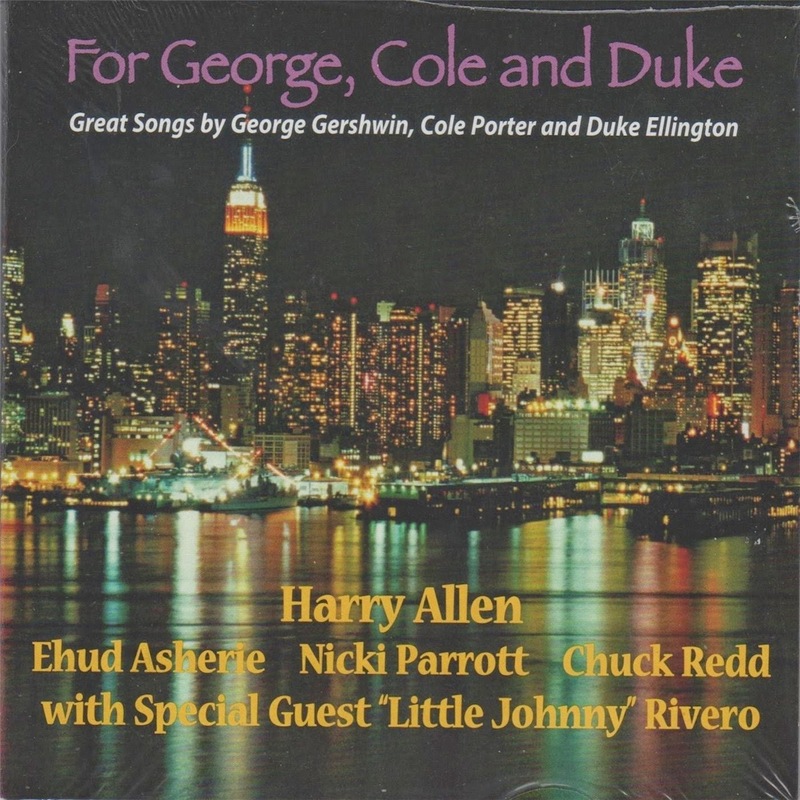 Listening to Harry Allen on this disc is, compared to the majority of discs I receive that are full of original compositions by some kid out of college, like the advent of spring (maybe not this Spring!) That they are by long gone composers, Gershwin, Porter and Ellington, only serves to pose the question - why try to improve upon perfection? As has become the norm, the on-first-name-terms audience turned out to support Splinter @ the Bridge. At short notice Mark Williams helped out friend and fellow guitarist Steve Glendinning when a proposed quartet gig fell through. The prospect of two fine guitarists playing a few tunes together didn't deter the faithful. Jason Isaacs (vcl/ten); Mark Webb, Darren Irwin (tpt); Dave Brock (tmb); Andy Bennett, Ray Dales (reeds); Stuart Collingwood (pno); Neil Harland (bs); Simon Ferry (dms) + Zita Frith (vcl). 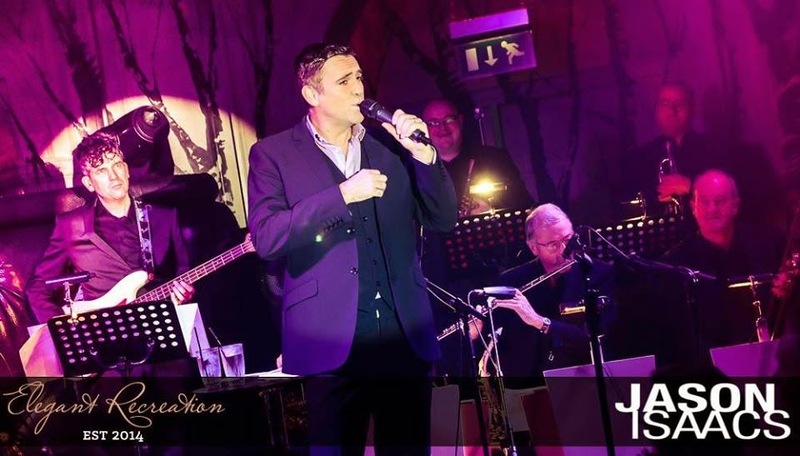 A Jason Isaacs' show isn't just another gig it's an occasion - a happening! The songs and the routines may be familiar but, somehow, he makes you think you're hearing them for the first time, such is the man's charismatic appeal. Tramp; Beyond the Sea; Kick in the Head; Minnie the Moocher; That's Life; Leroy Brown and many more made this a ring-a-ding-ding of a show. Hannah Taylor (vcl); Alix Shepherd (pno). The Redwood Bar of Newcastle's Vermont Hotel (Do they have a Newcastle Hotel in Vermont, I wonder?) is the latest watering hole to feature jazz tinged artists. Friday's opener was by Andrea Patterson, Saturday it was Zoe Gilby and last night Hannah Taylor, accompanied by Alix Shepherd on piano, took centre stage. I had time to spare en route to Jason's gig at Bonbar so I decided to check it out. Being lovers of the acoustics a church provides, we were delighted to see that our local "Highlights" group had continued their great support in taking Jazz to local Northumberland communities & had arranged a mini tour for the Nicola Farnon Trio.....we caught up with them in the lovely surroundings of Holy Trinity Church in Matfen. (Review by Kath J/Photo left by Mike Tilley photo right by Lance). When two outstanding musicians team up for a duo gig, you know that it’s going to be a high quality performance and I wasn’t disappointed. Four on Six commenced with a bit of Gershwin, A Foggy Day, and right from the start the intricate workings of Stevie’s fingers backed by that confident but laid back bass, set the standard. Pat Metheny’s Aways and Forever brought an innovative bass solo and Paul’s creativity carried on into God Bless the Child, way to go Mr Grainger! Pepe Greenaway (alt); Dave Parker (bs); Peter Ninnim (dms). "A work in progress" was the description given to me by one of the "Machinists" and it probably summed up what was, nevertheless, a fine example of the Jazz Co-op's attempts to offer a varied program - partly subsidised by the wall to wall throng of pulchritudinous flesh in the downstairs bar. It wasn't an easy choice to make! 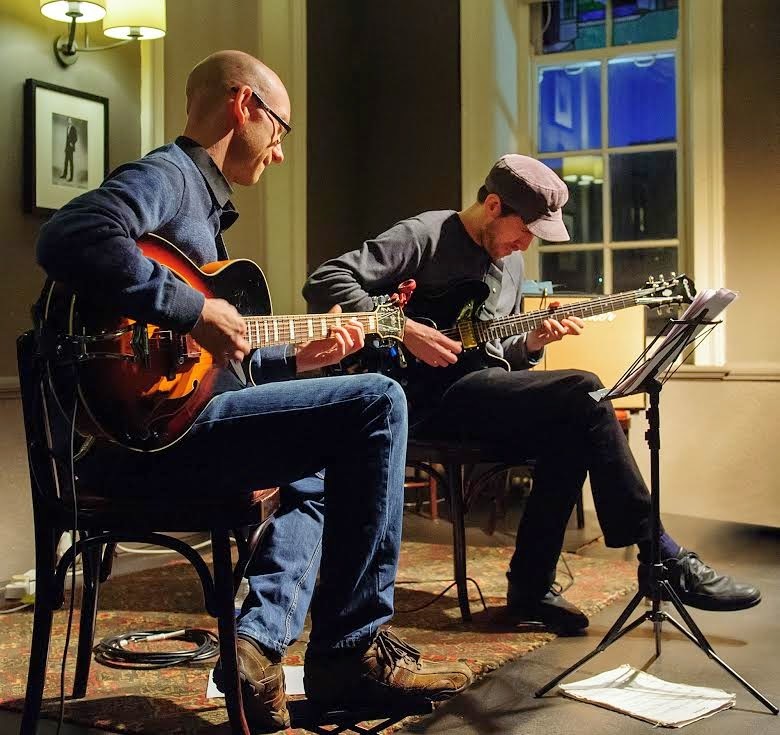 North east-based guitarists James Birkett and Bradley Johnston have been working together for some time as a duo and have recently released their first CD recording. Together comprises thirteen tracks, of which eleven were composed or recorded by iconic figures in the history of jazz. 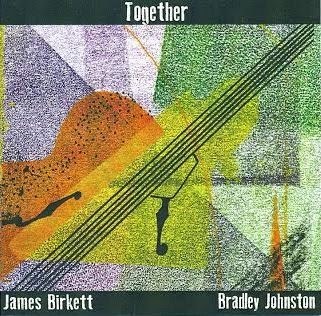 Two compositions are the duo’s – Blues for BJ (comp.J.Birkett) and James Waltz (comp. B.Johnston).They stand comparison. 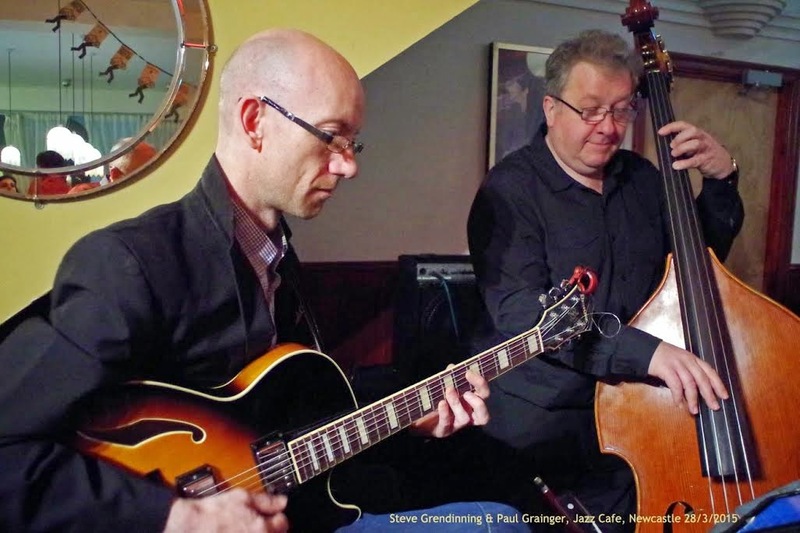 Performing live at The Bridge Hotel this Sunday (March 29) are "DUENDE" Mark Williams and Steve Glendinning, both veterans of the jazz guitar scene locally, nationally and internationally. A tour de force of jazz guitar from early to modern, Django to McLaughlin, some choice standards and originals from the sublime to the ridiculous. An evening not to be missed. Val Wiseman - Lady Sings The Blues @ Gala Theatre, Durham. March 27. Val Wiseman (vcl) w. Digby Fairweather (tpt); Roy Williams (tmb); Julian Marc Stringle (ten/clt); Brian Dee (pno); Len Skeat (bs); Eric Ford (dms). The auditorium was near full and justifiably so. Whilst few, if any, have equaled the poignancy and emotional content of Billie Holiday in this, the centenary of Lady Day's birth, Val Wiseman came as close as possible without losing her own identity. The many fine songs included, Ain't Nobody's Business if I do; Good Morning Heartache; God Bless the Child; Fine and Mellow; Miss Brown to You; Just one of Those Things; Comes Love; Me, Myself and I; One For my Baby; What a Little Moonlight Can Do; Am I Blue? Loverman - just piano and voice - was spellbinding and a grandiose My Man captivated. Another monthly lunchtime gig at the Lit & Phil. In no time all seats were taken with extra chairs hurriedly set-out to meet demand. It was a special occasion – it being the low key launch of James Birkett and Bradley Johnston’s CD Together. A partnership of equals – Birkett the vastly experienced musician, Johnston the supremely talented young musician making his way in the music world. SUMMERTYNE AMERICANA FESTIVAL 2015 ANNOUNCES LINE UP! SummerTyne Americana Festival is TEN! To celebrate the tenth birthday, festival organisers are delighted to announce that they are staging a weekend long party and inviting some of their most famous and legendary friends along, as well as the pick of the new crop of breakthrough acts. This jam-packed weekend brings the finest American roots music, from both sides of the Atlantic and this year’s festival presents a strong seam of southern soul, blues and gospel alongside a sensational cast of country, rock and Americana stars. 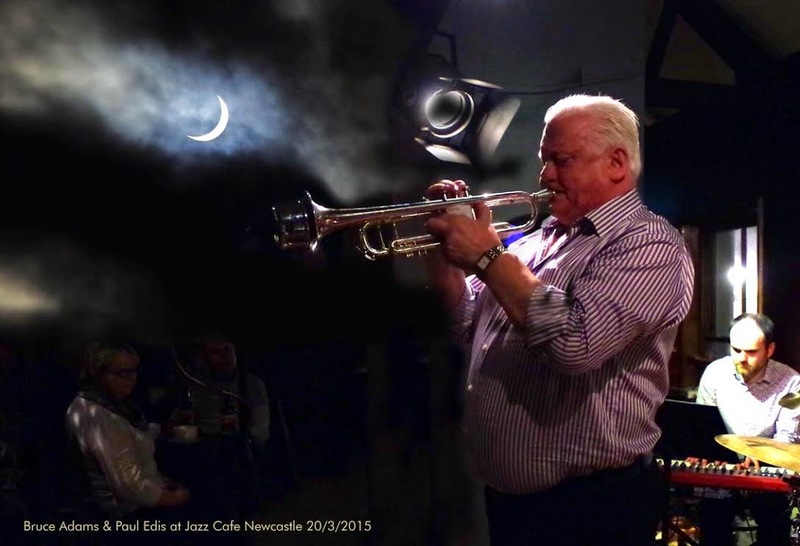 Gateshead International Jazz Festival – so close, you can almost touch it! After the late Friday night/early Saturday morning festival jam session at the Globe on Railway Street in Newcastle why not sleep-in? But not too late, as the jazz resumes at 1:30pm on the concourse. It’s free, it’s non-stop until seven o’clock, the bars and café will be open throughout and the views across the Tyne are spectacular. It may be free admission but don’t assume the standard will be in some way inferior. Far from it. 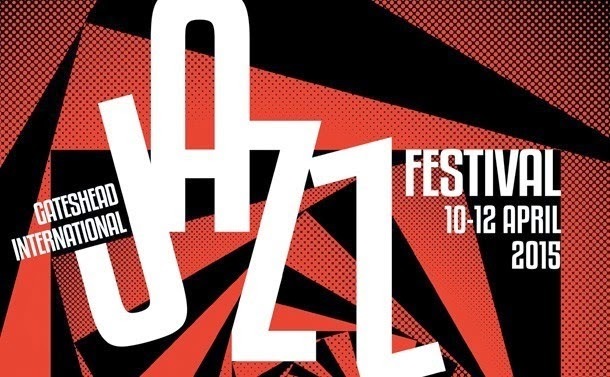 The Gateshead International Jazz Festival is shot-through with quality (in the concert halls, out on the concourse and in the basement Music Education Centre’s workshops). 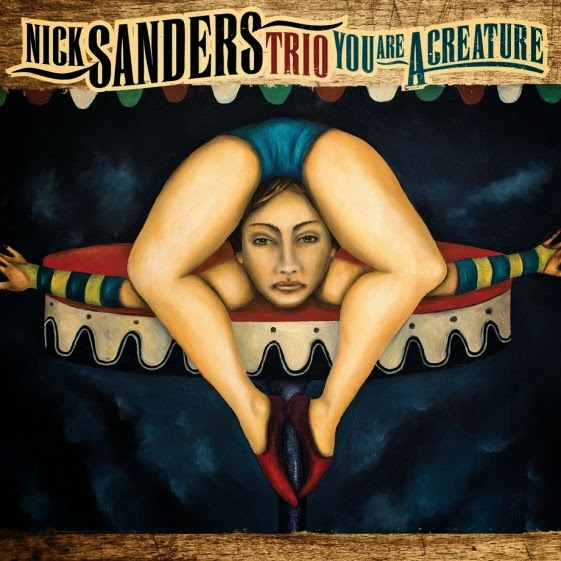 CD Review: Nick Sanders Trio - You Are a Creature. Nick Sanders (pno); Henry Fraser (bs); Connor Baker (dms). New Orleans-born pianist Sanders is described as a unique voice and his trio are referred to as unconventional. Maybe we could add Quirky! The cover art, the titles and the execution tell us that this isn't going to be a straight drive down the freeway but, rather a meandering journey through side roads and dirt paths although there are some moments when the foot is on the pedal and they are in the fast lane pursued by a hip cop. There's a lot going on this Friday - King Bee at The Cluny, Alan Glen Trio at the Jazz Café and the Customs House Big Band at the theatre of the same name in South Shields - all mouthwatering prospects! However, I'm heading for the Gala Theatre in Durham where vocalist Val Wiseman pays tribute to Billie Holiday with her show Lady Sings The Blues. 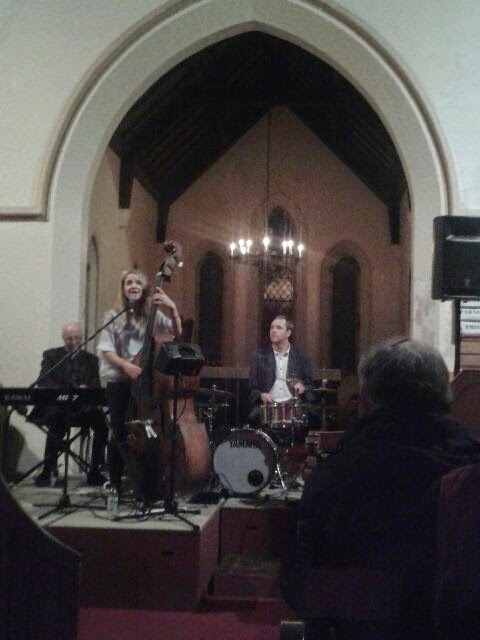 Apart from her distinctive vocals, the instrumentalists are absolute top drawer swingers i.e. : Digby Fairweather (tpt); Julian Marc Stringle (reeds); Roy Williams (tmb); Brian Dee (pno); Len Skeat (bs); Eric Ford (dms). This is going to be well worth the trip! Tickets are £13/£12 and the show starts at 7.30pm. 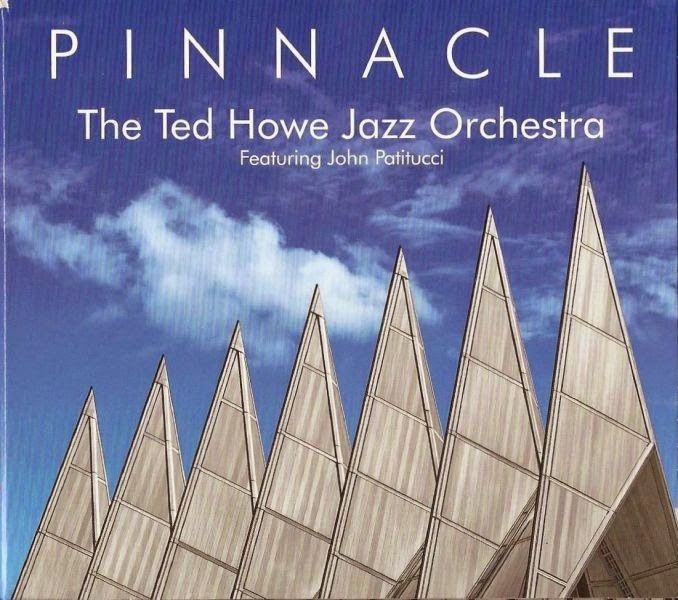 Ted Howe is a Los Angeles based pianist, composer, arranger, producer and teacher. Pinnacle is his seventh CD as leader. The central core of the CD is Howe's Suite #1 for Jazz Orchestra. Howe wrote the suite as his first piece of extended composition for this kind of ensemble. The suite was premiered in 2011 at the Conant Arts Centre in Oglethorpe University in Atlanta, Georgia (Tate lived in Atlanta for many years). The suite is presented in three movements of equal duration over a total of 18 minutes as tracks 3, 4 and 5. Darlington Jazz Club switched off the lights one more time, locked the door and walked off into the night. The Forum Music Centre on Borough Road is history. 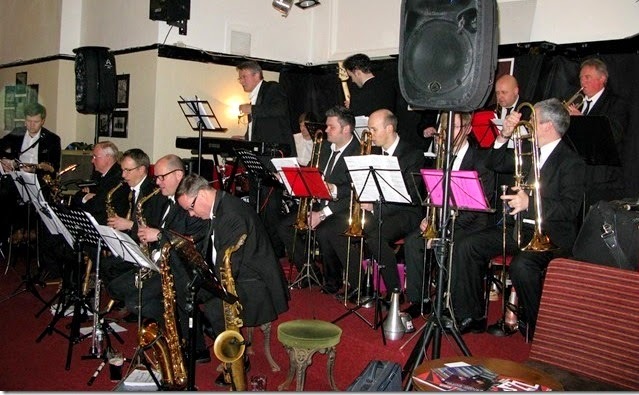 The jazz nights came to an end – the end of an era – last night with a memorable gig by the Darlington Big Band. However, Bebop Spoken Here’s Deep South correspondent Tony Eales sends news of an exciting future. 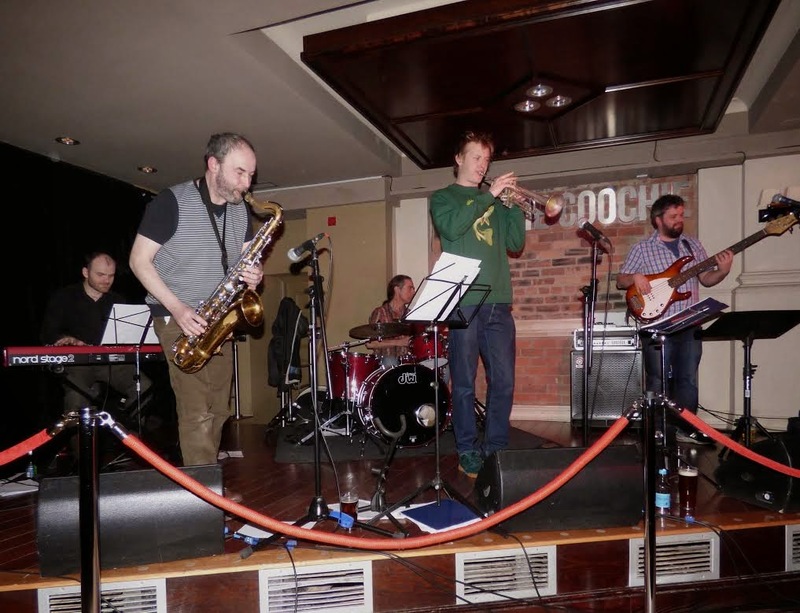 Darlington Jazz Club will be reborn on Sunday April 12 at a new town centre venue. The Quakerhouse pub in Mechanics Yard, just off Skinnergate, will be one of a select number of venues to stage club events. 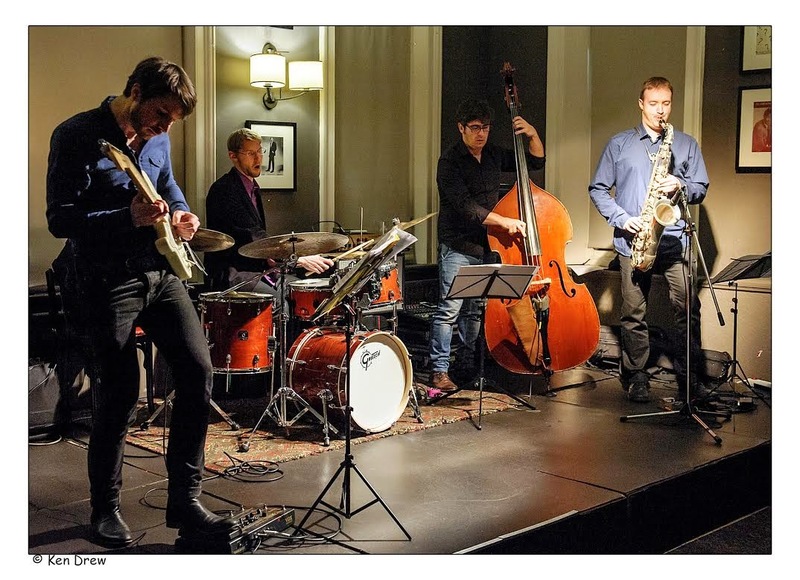 Sunday April 12 features the excellent post-bop combo the Jazz Tones. 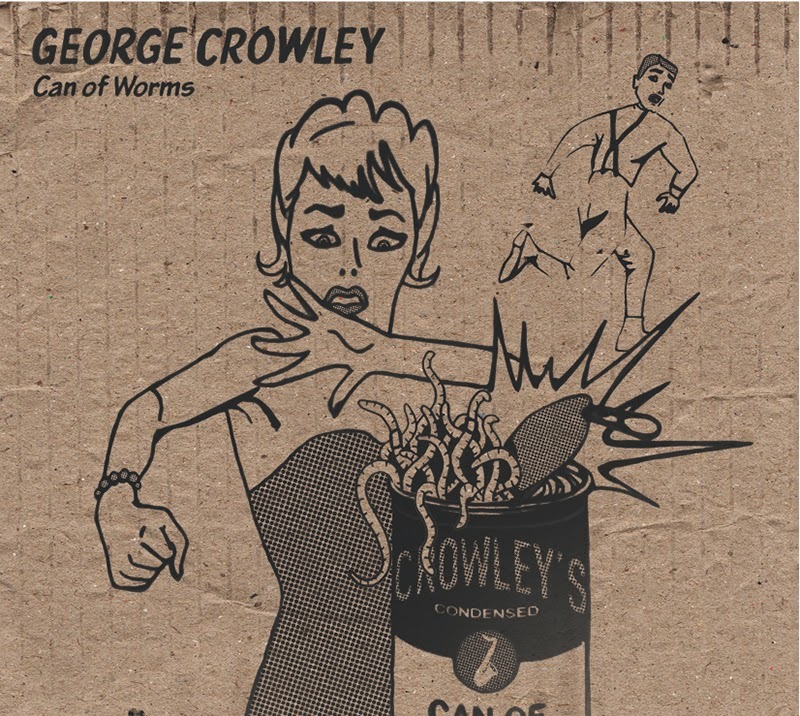 Can of Worms is saxophonist George Crowley’s second album. 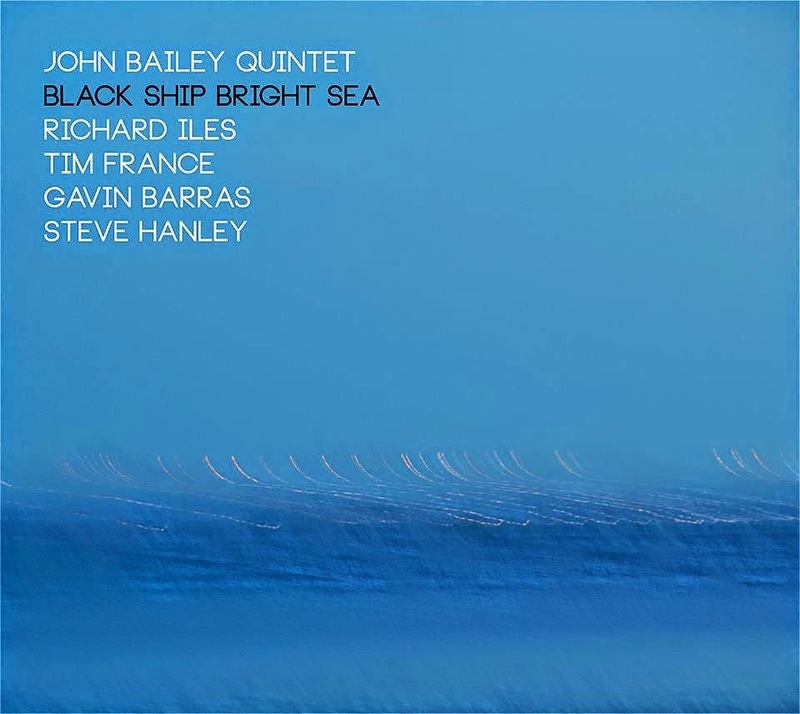 Recorded in July 2014 on Michael Janisch’s Whirlwind Recordings label, Crowley’s quintet comprises some of the very best of the scene’s younger musicians. London-based Loop Collective member Tom Challenger works with the bandleader as a two-tenor frontline. The rhythm section (piano bass and drums) is an integral part of the band sound, thus ‘rhythm section’ is inadequate in describing the contributions of Dan Nicholls, Sam Lasserson and Jon Scott. A very well attended General Meeting of the Jazz Coop took place in the upstairs room of The Globe on Saturday afternoon (if only so many could attend the gigs). Minnie Fraser and Dave Parker each gave good presentations on the past present and future of Britain’s first music venue to be owned by a cooperative. 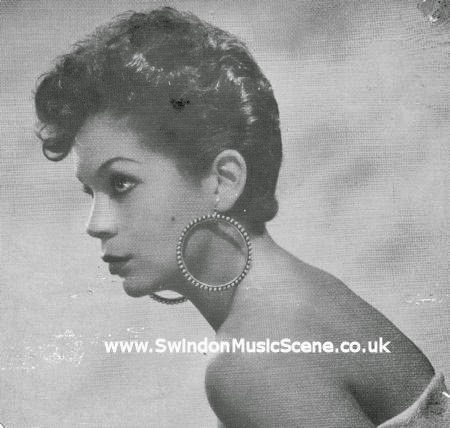 A remarkable amount has been done in such a short space of time in establishing the Jazz Coop taking inspiration from the late Keith Crombie of the Pink Lane Jazz Café. One of things the Coop are most proud of is the amount of money pumped into the jazz community in form of performance and tuition fees. It is also a notable achievement that by installing a lift both floors of the building are accessible to all, probably a unique feature for any Newcastle music venue. There is more work to be done but I think all present left the meeting in an optimistic frame of mind and looking forward to the future evolution of the project. email pinklanejazzcoop@gmail.com for further details. Tam de Villiers has been touring his Whirlwind Recordings album Panacea. A string of European dates, including British dates the length and breadth of the country, concluded with a Splinter gig at the Bridge Hotel, Newcastle. Sunday night regulars turned out in a show of Anglo-French solidarity. de Villiers, British born, has lived in Paris since 2003. His French is, no doubt, better than your reviewer’s English (not difficult). Would he have command of the language of jazz? 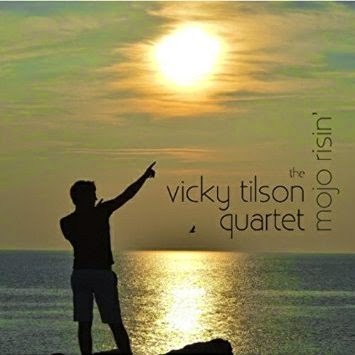 Vicky Tilson, a graduate of the Guildhall post-grad jazz course, formed her first quartet in 2009 and released an album, Picture from Jitske, in the same year. Tales from a Forgotten City followed in 2010. Mojo Risin’, recorded at the Cable Street Records studios in East London where Reinis Axelsson worked as a sound engineer, enabled Tilson to record in analogue and “give the album a certain warmth that digital does not”. John Addy (tpt/vcl); Simon Addy (dms): Steve Devine(ten); Andy Cholliford (keys) and a great bass guitar, whose name I didn't catch! Well what an afternoon that was! I have known John Addy for years as indeed has anyone with a good ear for great jazz. He apparently retired a month or two ago, but made a brief come-back today for those people who enjoy live music at the Vicky Vaults. John does Gasbook to perfection and, as I never intended to review this gig, I didn't make notes...but they were all there .One Morning in May, It Might as Well be Spring, I Thought About You, Mountain Greenery, Ain't That a Kick in the Head? it just went on & on. John Bailey (gtr); Richard Iles (flug); Tim France (sax); Gavin Barras (bs); Steve Hanley (dms). 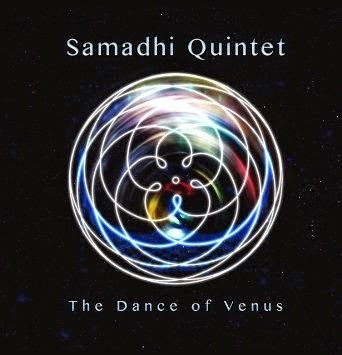 Quoting from the blurb we're told that the music here sits squarely on the border between jazz and classical music. Bailey's compositions, it would appear, deal with the dark and light aspects of life. 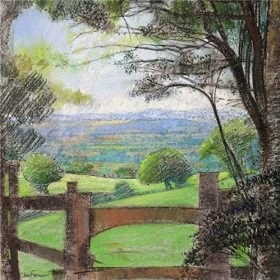 The aim of the compositions, it seems, is to move the listener through a range of different emotional states from depressing and bleak to uplifting and optimistic. 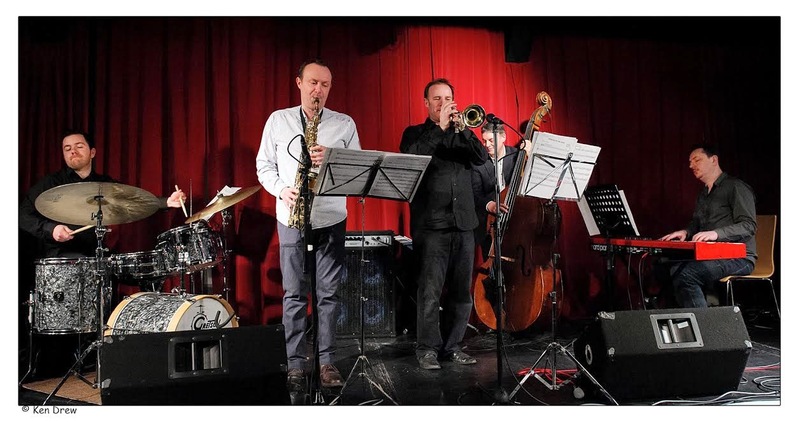 Bruce Adams w. Paul Edis Trio @ Jazz Café - March 20. Bruce Adams (tpt/flg); Paul Edis (pno); Andy Champion (bs); Adam Sinclair (dms). (Review by Lance/photos by Mike Tilley). Every trumpet player in the north east should have been here tonight! Listening and learning from the master. I don't mean just technique and creativity but also how to connect with an audience. Incidentally, pianists, basses and drummers could also have picked up a sack full of knowledge along the way as Edis, Champion and Sinclair were well up for the gig and Bruce's appreciation I am sure was more than mere token. 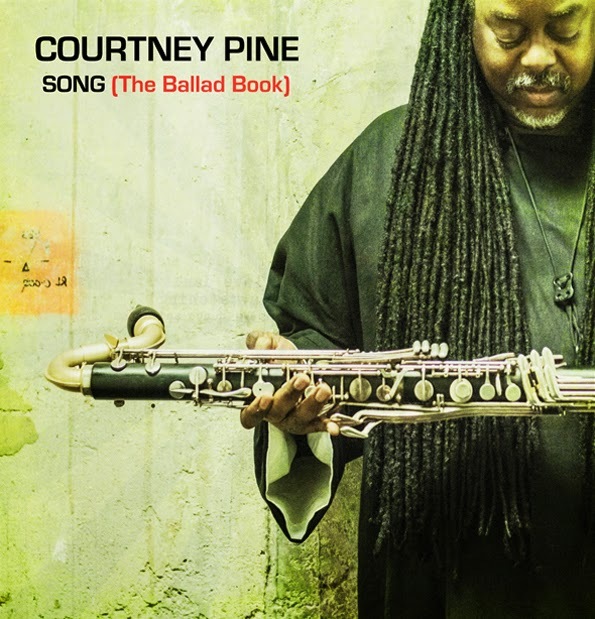 Courtney Pine (bass clarinet); Zoe Rahman (pno). I was unsure if 52 minutes of bass clarinet and piano would hold my interest and there were moments when my attention wandered but not many. Pine has never been less than a forward thinker and although numbers such as Amazing Grace may seem a far cry from the angry young man of the 1980s who leaped into prominence as part of the Jazz Warriors Pine is respectful of the source without disguising his own identity. Even Duke's Come Sunday which opens with a hint of pet shop arson mellows sufficiently to avoid any accusations of sacrilege. In an album with many excellent tunes it is to CP's credit that the most lyrical one is his own composition - Song! Lyndon Anderson (vcl/hca); Tim Bloomer (gtr); Dominic Snaith (keys) Martyn Dixon (bs/gtr);?(dms). With Lyndon Anderson up front fifty shades of blue(s) was guaranteed. This was one helluva blast with guest Lyndon playing as good a harp as you're likely to hear 'twixt the Tyne and Tees Delta. His singing didn't hurt either. Tim Bloomer unleashed the licks and the looks with his usual panache whilst Dom alternated between groovin' B3 and down home barrelhouse boogie blues piano. Martyn used all five strings to great effect and the drummer (Martyn did name check him for me but I inexcusably forgot it!) laid it down like as though he was recording for Sun Records in Memphis, Tennessee. 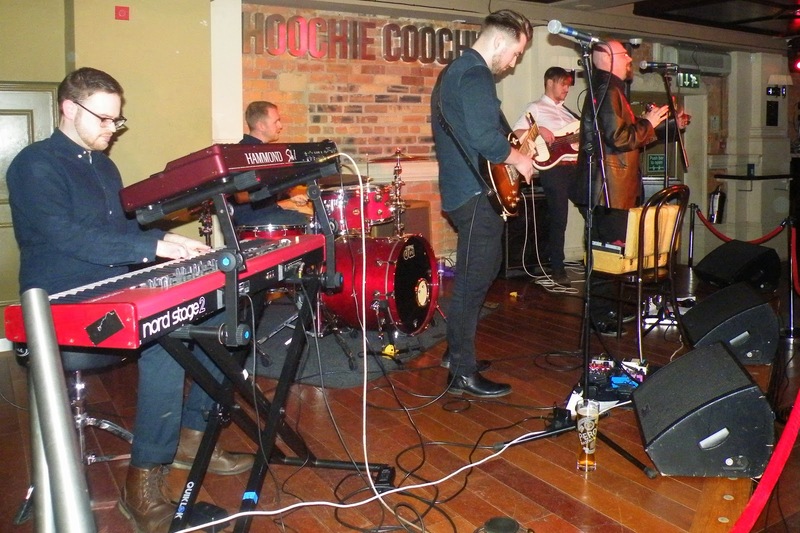 It was good to have the Collective back at Hoochie but sad that it was just a one off. Thanks to Alfred Stone for drawing this sad item to my attention. Generally acknowledged as the greatest authority on American blues, folk and early jazz, Samuel Charters passed away yesterday. He was 85 (March 18). Along with his wife Ann, Charters wrote about, researched and recorded many famous bluesmen and women who had slipped into obscurity - creating an interest in and a revival of their careers. The spring of 2015 is set to burst into wonderful life as the Scottish National Jazz Orchestra (SNJO), now in its twentieth year, and their very special guest Kurt Elling celebrate the birth centenary of a truly household name in popular music, Frank Sinatra. Sinatra has been called many things, from “The Voice of the Century” to “An Act You Can’t Follow”. That has not stopped imitators and emulators from trying, and for the most part failing. It takes a great voice to sing remotely like Sinatra, but it takes a great jazz voice to know Sinatra. 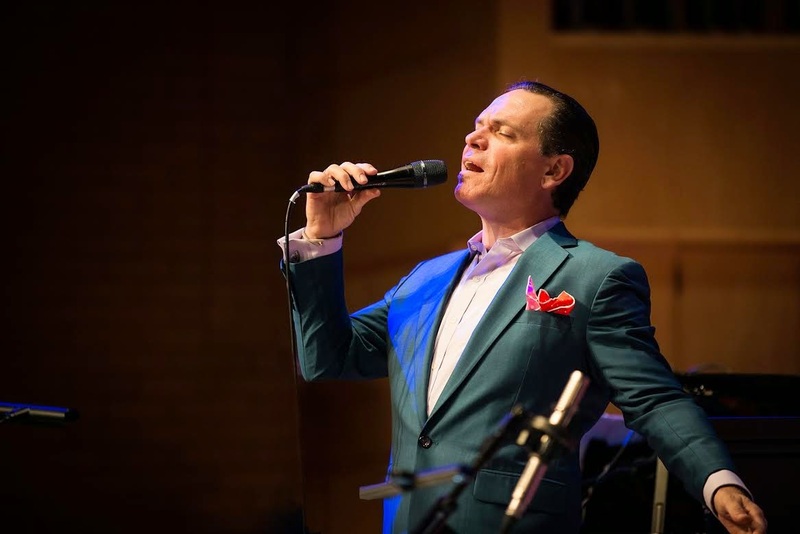 Kurt Elling, perhaps the foremost jazz vocalist of his generation, is that voice. Bob Dylan (vocals), Tony Garnier (bass), Donny Herron (pedal steel guitar), Charlie Sexton (guitar), Stu Kimball (guitar) and George C. Receli (percussion). 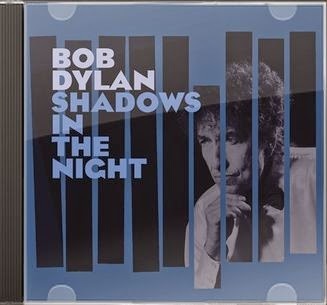 For most of us, Bob Dylan releasing an album of Great American Songbook numbers, mostly associated with Frank Sinatra, would have seemed an extremely unlikely prospect. Yet here is a man who, by his mid twenties, had been through numerous musical genres - early blues, folk, protest songs, electric rock and country music (and mostly completely reconstructed them) - and simultaneously, in song-writing terms, had created his own personal Great American Songbook. So why not do an album of standards? Peter Gilligan (pno); Paul Grainger (bs); Paul Wight (dms) + Joe Fowler (tmb/vcl); Alan Law/Joel Brown (pno); Tom Lapworth (gtr); Fiona Finden (vcl); Stuart Finden/Paul Gowland (ten); Jordan Alfonso (alt); Yuya Honami/Ian Forbes (dms); Alec J. Gamble (cor); Halle Bennett (vcl). The above is the gist of the evenings performers, there may have been others - apologies if I've missed anyone. 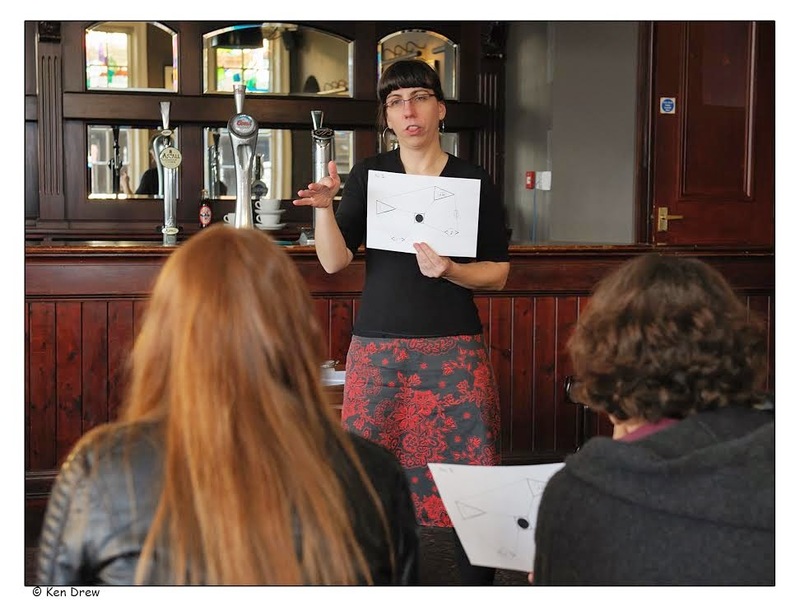 (Review by Russell/Photos courtesy of Roly Veitch & Deirdre Grant). 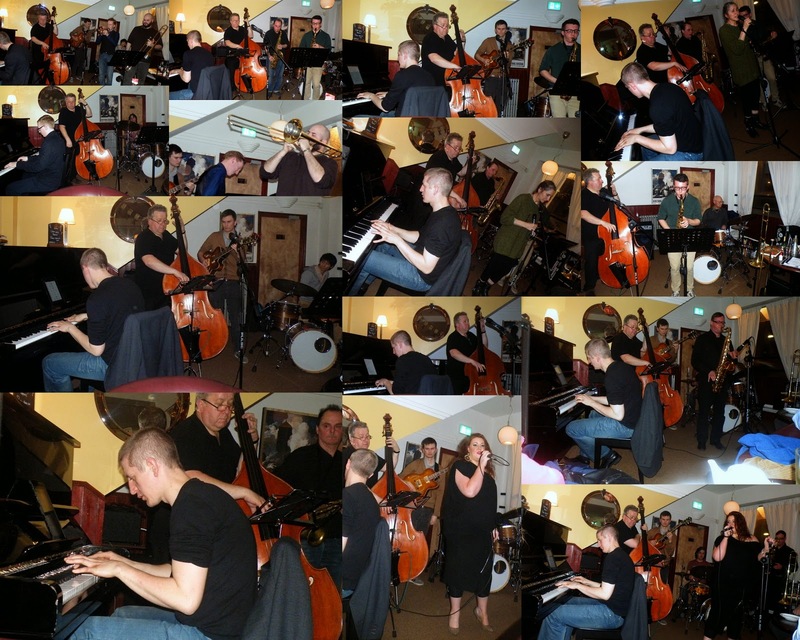 Blaydon Jazz Club at the Black Bull. The Strictly Smokin’ Big Band strolled into town, suited and booted. Small room, big band. The saxophone section assembled on the floor in front of the small stage. Blaydon regulars filed in looking to claim their usual perch. Instrument cases littered the floor and covered table tops as a sound check took place. One sensed this was going to be something special. Bandleader Michael Lamb led the way with the first solo of the night on Ol’ Man River. The band’s power almost took the breath away, some were stunned. A sensational start. 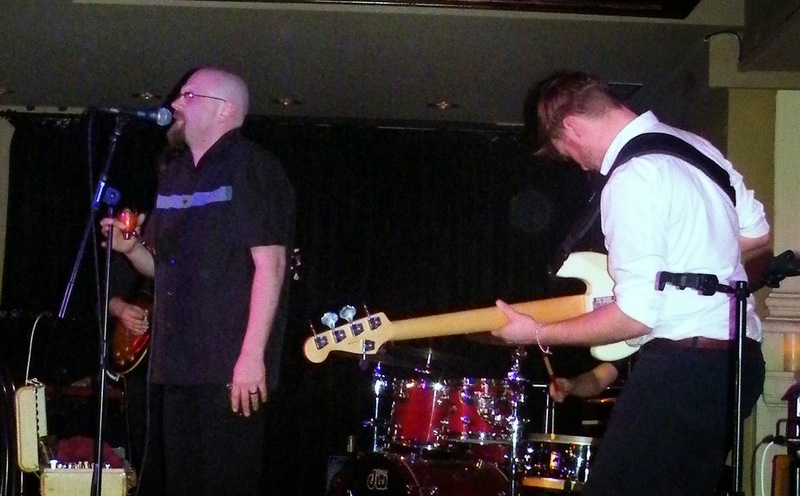 Depping vocalist Paul Skerritt Let the Good Times Roll; style, presence, timing. Gerry Mulligan’s Red Door and Frankie and Johnny and a Trombone Guy worked as swinging big band tunes. T J Johnson @ Darlington New Orleans Jazz Club - March 14. It seems TJs recent tour of the south of the region has gone unnoticed. Starting at Bedale Golf Club on Friday 13th they did a lunchtime gig at Darlington NOJC the following day. In the evening they headed south to appear at Boston Spa JC on their way back to the smoke. Well done to whoever organised this small tour. Dave Newton & Dean Stockdale @ The Globe Jazz Bar - March 15. 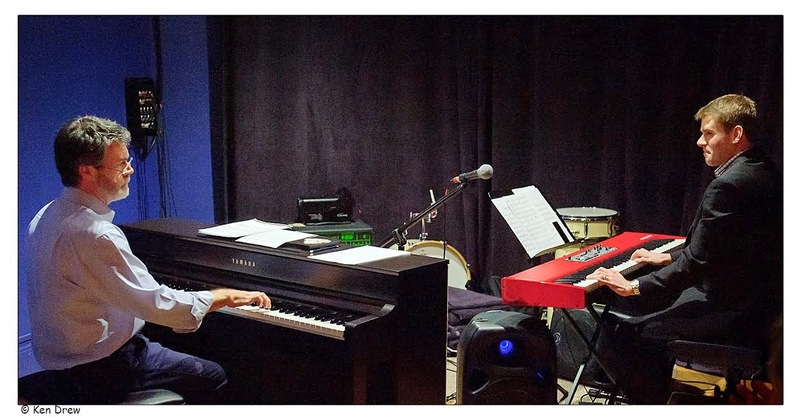 Dave Newton & Dean Stockdale (keys). The number 22 bus takes you practically to the door of The Globe so it was but a short hop from Havana à la Hoochie into the unknown - the unknown being whether a two piano set, even one by two such formidable performers as Dave and Dean, would pull the punters. The downstairs bar was doing good business with concertgoers seeking refreshment prior to an evening of Spandau Ballet at the Arena. Upstairs too was near to standing room only as the audience slaked their thirst in eager anticipation. A new name to your reviewer, Doc Bowling is a new favourite. Doc and his fellow seven ‘blues professors’ can be pigeon-holed quite easily – providing you have a vacant dozen or more pigeon holes! Alt country, blues (twelve bar and its variants), Americana, rock-a-billy, shuffling bottleneck, ska – all from an oblique (psychotherapist’s) view point and a Stetson brim-full of humour and understated musical excellence. 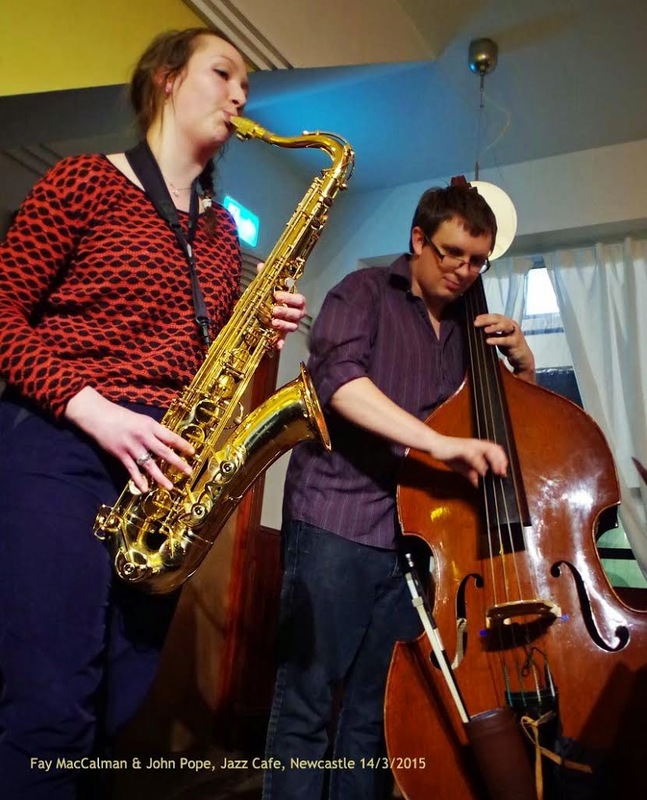 Final year music student Faye MacCalman (tenor saxophone) teamed up with bassist John Pope to present two sets of accessible post-bop material to an appreciative –and occasionally noisy – Saturday night crowd at the Jazz Café. The first set began earlier than usual as John Pope had to be home and in bed by half past ten. Not true – he had another gig across town starting at ten thirty! Blues For Dad by Paul Edis Sextet was played by Alyn Shipton on yesterday;s Jazz Record Requests. Link (it's 45 minutes in). Vocalist Maureen Hall has maintained a Friday lunchtime session for several years down at the coast. The Black Horse in Monkseaton (currently to let to an enterprising publican) is one of those venues where the management let the musicians get on with it. Benny Sharoni (ten); Jim Rotondi (tpt); Joe Barbato (pno); Mike Mele (gtr); Todd Baker (bs); Steve Langone (dms). Another absolute dream of an album from across the pond - Boston to be precise. 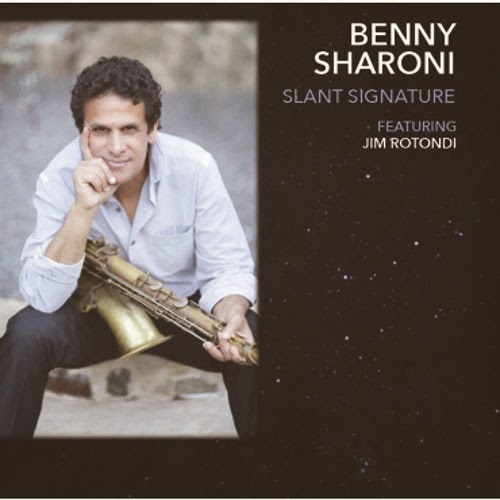 Because of Berklee College, Boston could be said to be the breeding ground of jazz today just as New Orleans was at the turn of the century although, in actual fact, Sharoni only hung around the college for one semester - too free spirited, he said, to thrive while there. This/these guy(s) deserve to be internationally renowned but, sadly, without sites such as this and others around the world, the chances are probably slight. 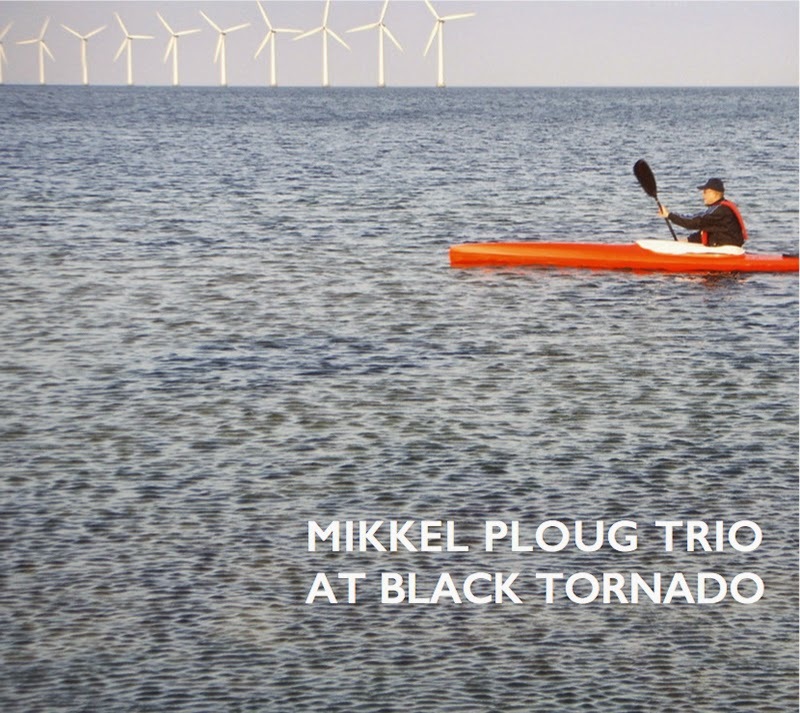 One of the world’s major concert halls and a Europe-wide network of over 100 members from 30 countries are using the context of the 2015 Gateshead International Jazz Festival to explore environmental issues that concern both the music and cultural industries and how the sector can respond as part of a global movement stepping up the urgency around addressing climate change. On Friday April 10, to launch this year’s Gateshead International Jazz Festival, Sage Gateshead and Europe Jazz Network will be presenting a fascinating seminar examining how jazz and music promoters, festivals and venues across Europe can develop their green policies and transform their practices to meet both the challenges and opportunities of a rapidly changing environment. Richard Burns (tpt); Gary Turner (ten); Paul Edis (pno); Paul Susans (bs); Rob Walker (dms). Richard Burns keeps exhorting us to tip the bar-staff: I never have (short arms, deep pockets) but I really ought to. They shine. Everything at Hoochie Coochie shines – the chrome fittings, the bar-top, the neon lights and as for the musicians….. The Pilgrim St Set just get better & better. Last night's performance was stunning. Skillful, humorous, with virtuoso playing everywhere you turned. Excellent musicians having a good time.. In my humble opinion (and I know nowt) they are the best regional jazz band I have seen, Gary's new compositions were some of the best original jazz I have heard in a very long time. If you're a muso come catch these guys @ the next gig on April 9th, you will not be sorry. To reserve tickets please phone or email Anne on 01388 768880 or annemtimothy@gmail.com Venue: St Cuthbert’s Centre, Church Hill, Crook. Martin Kershaw (alt); Colin Steele (tpt); Steve Hamilton (pno); Brian Shiels (bs); Alyn Cosker (dms). A cracker of a gig by five of Scotland's finest paying tribute to one of jazz's great bands - The Cannonball Adderley Quintet. It's been a good few days for alto sax players - Mark Toomey's recreation of Bird With Strings down in Saltburn and this appreciation of the late Cannonball. I never heard the alto player live although I did see his brother Nat (played here by Colin Steele - who previously had played Chet Baker at Live Theatre some years back) at the Corner House in the 1980s. 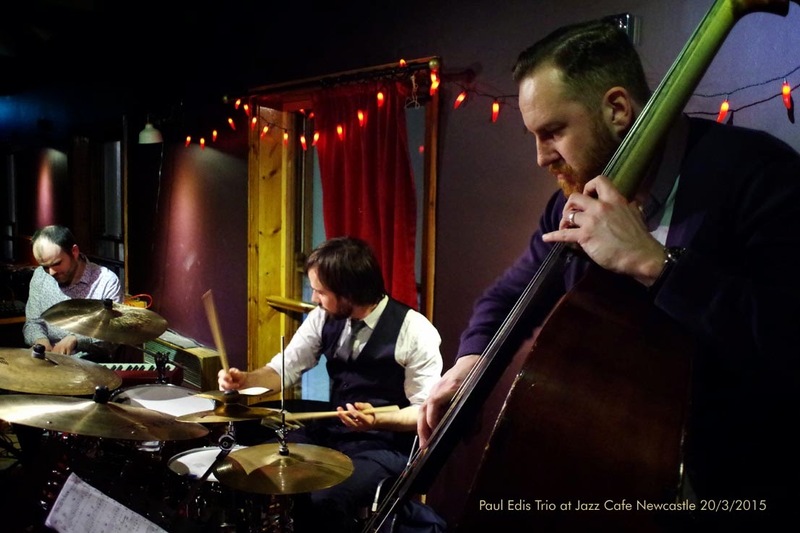 Paul Edis (piano); Roly Veitch (guitar/vocal); Neil Harland (double bass). As BSH had intriguingly advertised the Wednesday night gig at the Cherry Tree as a 'good King Cole style trio' that seemed another good reason (along with the food) to go. Maybe Arthur Scargill had taken up the ukulele in his later years or Andy Cole had become a whizz on the baritone sax since he hung up his boots, but on arrival it was clear that neither was the case. The quietly distinguished looking guitarist didn't look the type to make rabble-rousing speeches and the piano player, with all due respect, didn't seem like a 20-goals a season striker (although the bass player might have made an elegant, but tough-tackling centre half). There are also MM Poll listings from 1944-1974. 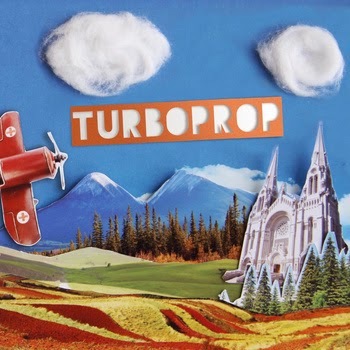 Check out the latest jazz poetry project from Dr. Keith Armstrong with images by Peter Dixon. Tommy Henderson wonders if any of our older readers can identify this cabaret artist pictured here at Wetherell's in Sunderland circa 1965? Andy Champion (bass); Wes Stephenson and Another (drums); Alan Laws and Another (keys); Stewart Finden, Fiona Finden, Karen Rann and Two Others (saxes); Two Others (guitars); Another (Flute); Zoe Gilby, Julie Allen, Ann Alex (vocals). Once again, this workshop was very ably led by Andy Champion and a good and musically adventurous time was had by all. Various sets of musicians performed during the first set. For the second set, Andy let each vocalist lead a piece, choosing their own musicians. 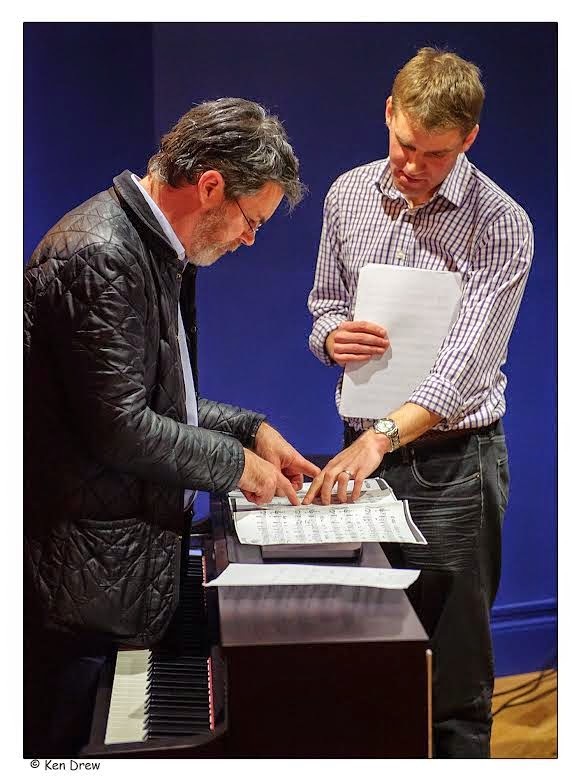 There were quite a few listeners and one such man suggested that we should name each piece after it had been played – a good idea, and yet another way to involve everyone. Tara Davidson (alt/sop); Joehl Frahm (ten); William Carn (tmb); Adrean Farrugia (pno); Dan Loomis (bs); Ernesto Cervini (dms). 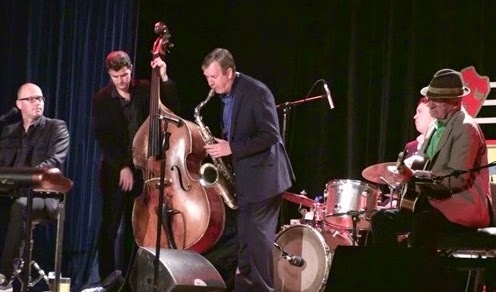 Canadian drummer, Cervini, has assembled a Jazz Messengers' styled outfit that successfully incorporates the mood of what many consider to be the greatest modern jazz combo ever into a band for today. Alto saxist Mark Toomey tells me that he had a great gig at Saltburn on Friday recreating the original line up and arrangements of the legendary Charlie Parker With Strings sessions. Over a hundred people turned out to celebrate this timeless music. It was a tribute to Charlie Parker who died 60 years ago tomorrow (March 12, 1955). It also happens to be Mark's birthday today (it's been a good week for birthdays!) and we'd like to wish him many happy gigs and may he continue to spread the gospel according to St. Bird. As an afterthought, if it can pull 100 people in Saltburn then this show deserves to be heard further afield. Services to Jazz: Chris Hodgkins. Some worthy choices - congratulations. 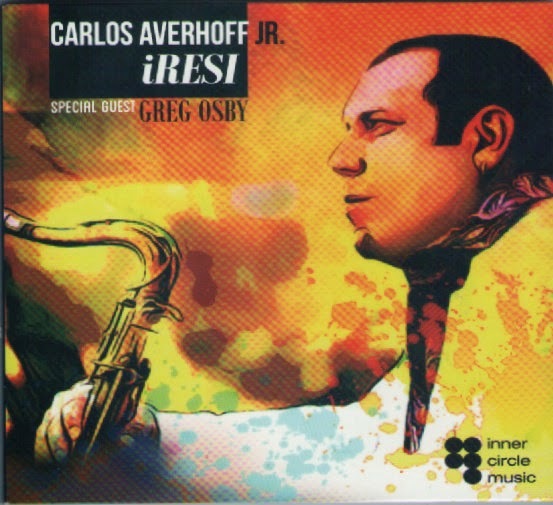 Joanne Tatham (vcl); Bob Sheppard (saxes); Tamil Hendelman/Jamieson Trotter (pno); John Clayton/Lyman Medeiros (bs); Marcel Camargo (gtr) Peter Erskine/Mike Shapiro (dms). Class! A word we used to use to describe albums by Peggy and Ella. A word we still relate to Diana (Krall) and others. Ms Tatham isn't one of 'The Others" indeed, on the strength of this album, the lady can stand tall alongside her peers. Tatham's voice is as expressive as the words demand and often more than they are worthy of. Not that there are any bummers on this set list. 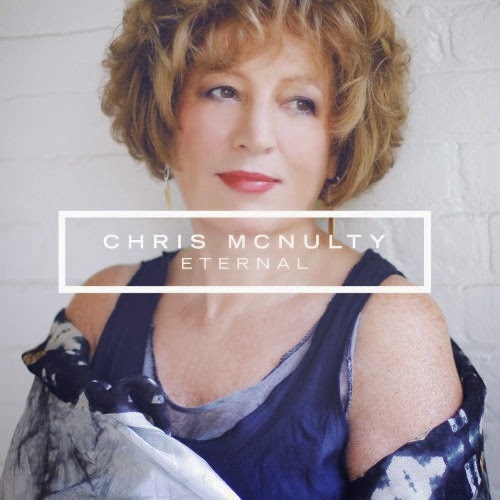 Susan Krebs – vocals, Rich Eames – piano, Rob Lockart - woodwind, Scott Breadman – percussion, Paul Cartwright – violin & viola. Chamber ensembles developed in the era of classical music, where small group of musicians would play without a conductor in small venues and society residences, in contrast to larger orchestras conducted in formal concert halls. 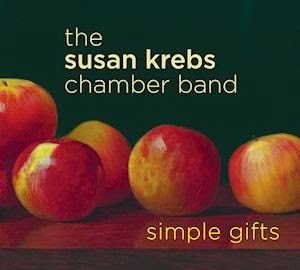 ‘Simple Gifts’ is the result of a similar collaboration over several years in Southern California, between vocalist Susan Krebs and a group of jazz musicians. Jazz North East & Splinter @ the Bridge present a ‘Women Make Music’ event; Beatrix Ward-Fernandez Trio + Watching Sideways @ The Bridge Hotel, Newcastle – March 8. 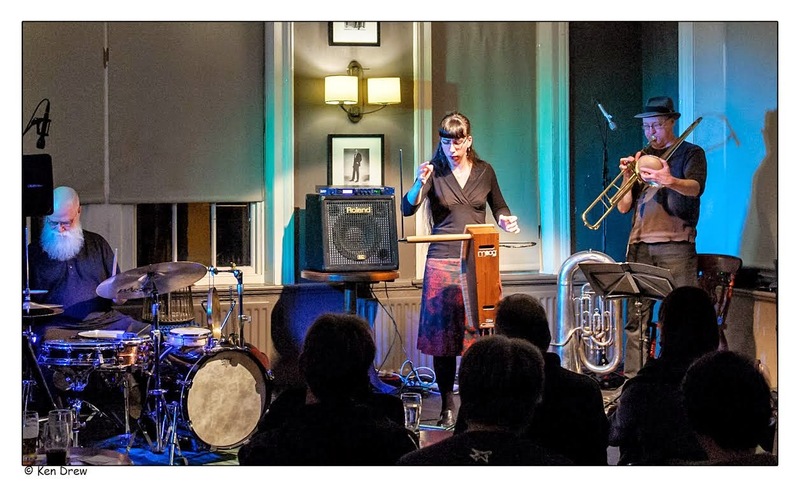 Beatrix Ward-Fernandez (theremin); Derek Saw (flugelhorn, valve trombone, tuba); Charlie Collins (drums, percussion). Zoë Gilby (voice & electronics). 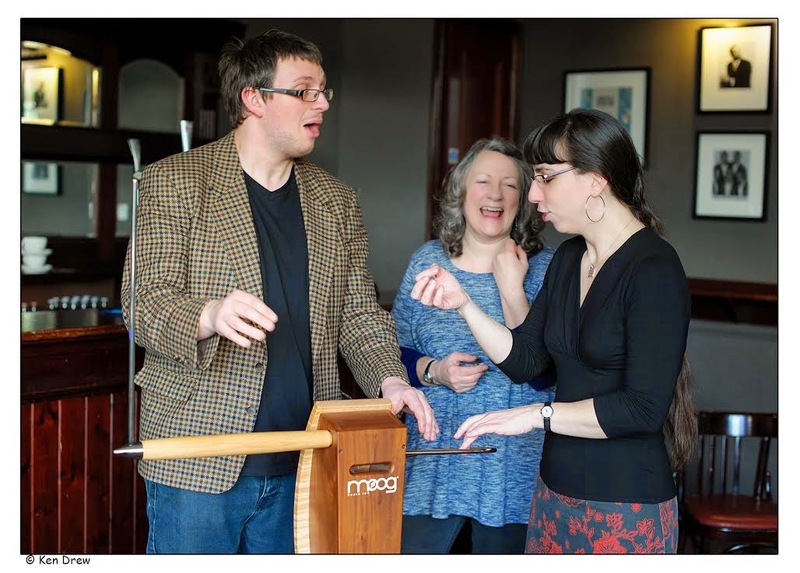 There used to be a TV series - ‘Who Pays the Ferryman?’ Jazz North East/Splinter seem to have created their own similarly named series - ‘Who plays the Theremin?’ As the old adage goes you wait decades for a jazz Theremin player to come along and then two come along at once. The Beatrix Ward-Fernandez trio arrived hot on the heels of the Splinter appearance of Bluebut at The Bridge last November featuring Theremin player Pamelia Kurstin. 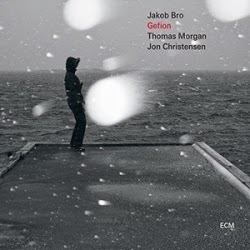 Jakob Bro first recorded for ECM with Paul Motian in 2004 and subsequently with Tomasz Stanko in 2009. This recording is Bro's debut as bandleader. The album is named after the Norse goddess associated with ploughing, prophesy and premonition – although this reviewer was not entirely sure what he was going to hear! Gefion was recorded in Oslo in November 2013 and produced by Manfred Eicher. 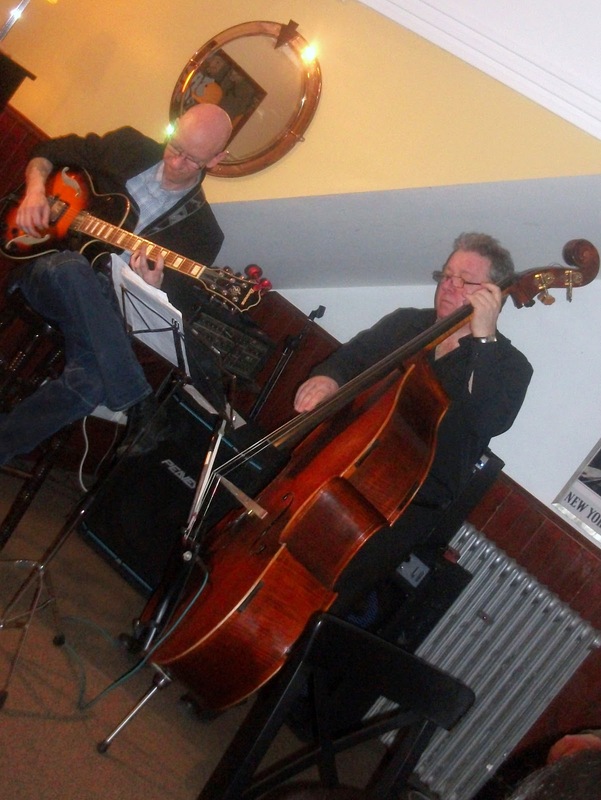 The trio comprises Bro on guitar with US bassist Thomas Morgan and Norwegian drummer Jon Christensen. This skeletal format allows all three musicians to contribute to the final result on equal terms. Looking out of a hotel window in Barcelona at the old cathedral, the square below was almost empty. Returning to the window ten minutes later these three musicians had appeared with an upright piano (despite the fact there was no vehicle access to the square). They (Cadena Banda) gave an extended performance of well played dixieland jazz tunes that was appreciated by passers-by. 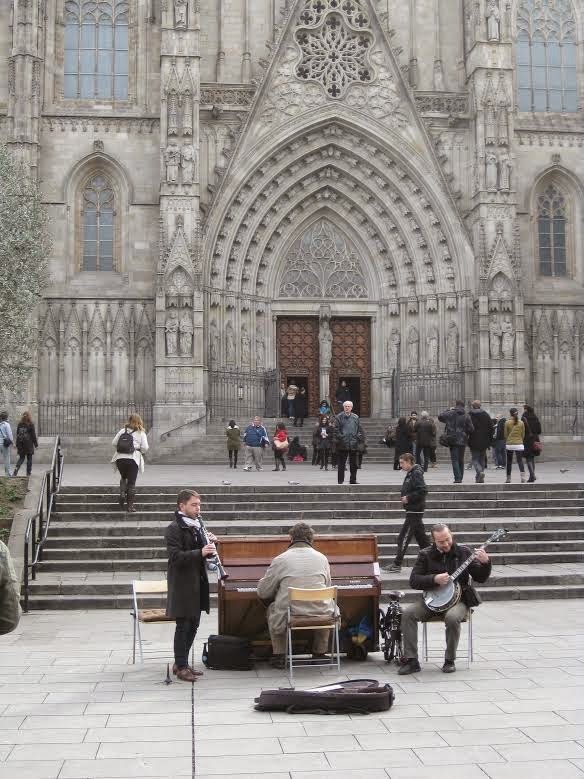 They even included one of their own compositions Back Home in Barcelona which was so authentically in the style it could almost have been written 90 years ago! Not a bad location for busking. International Women’s Day. Six hundred plus musicians over three days at Sunderland’s Great North Big Band Jazz Festival, and, without doing a head count, a guesstimate of at least three hundred of the musicians being female, the North Shore event is an exemplar in participation for all. Day three crammed in more big band music than any sane person would consider attempting to organise. Festival Director Bill Watson and his merry band of helpers aren’t sane – they’re big band fanatics! Ten o’clock Sunday morning. Another big band workshop – the educational aspect of the music world; the tutoring, the mentoring, instilling a life-long love of the music. Today’s competition programme split into two parts – schools and youth. Five school bands from near and far went into battle hoping to take home a National Glass Centre-commissioned trophy and a modest financial reward.